Do you wish to add specific posts to your WordPress navigation menu? If Yes, then this article is for you. In this article, we will show you how you can easily add a specific post to the WordPress navigation menu. 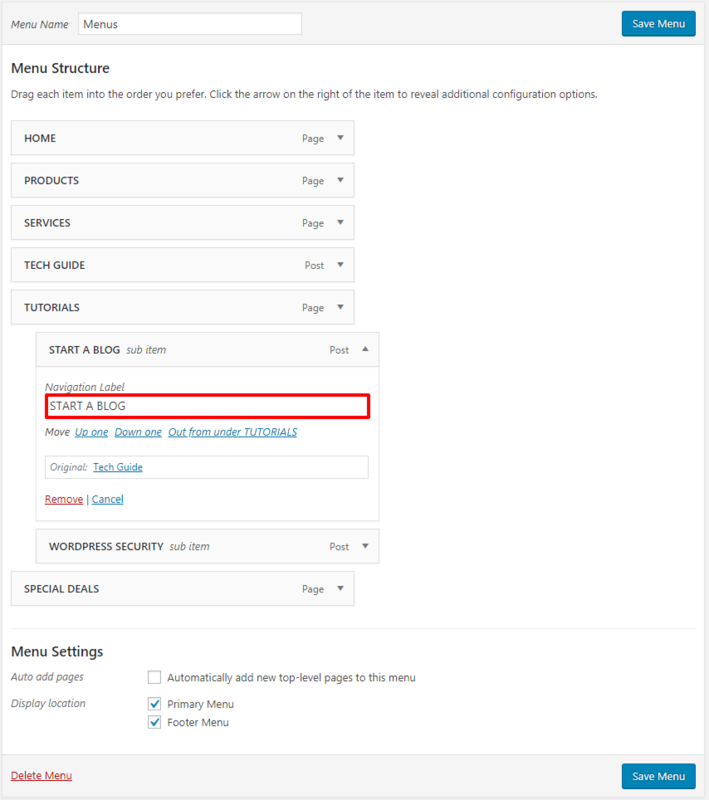 The first thing you need to do is go to the Menu section of your WordPress Site admin area. Create a new menu and use it as the navigation menu. 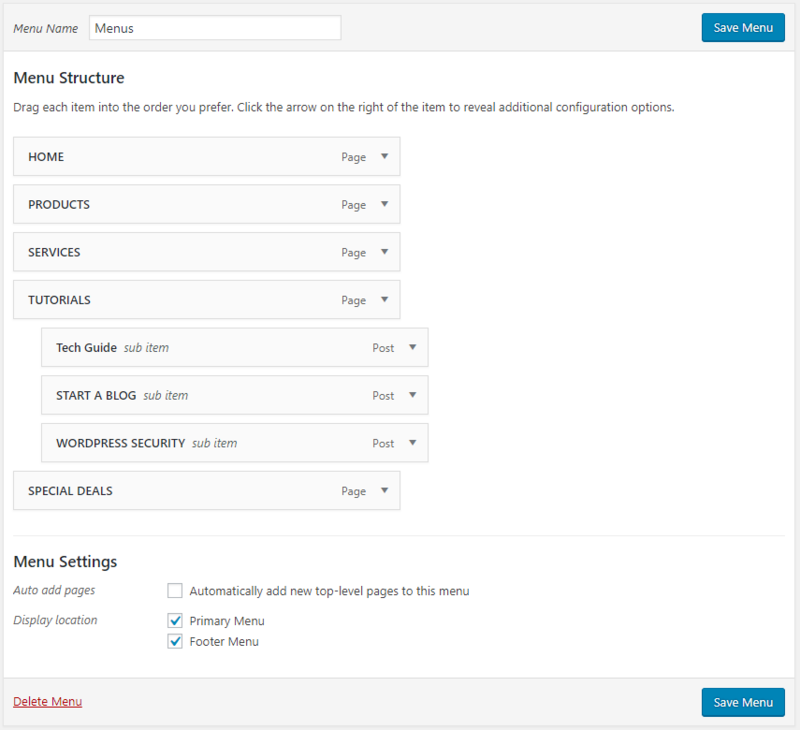 You can fully customize your WordPress site menus by adding custom links, pages, posts, and categories. Why should you add a Specific Post to Navigation Menu? It is easy to navigate the entire website with the help of the navigation menu. Moreover, you are not limited to a fixed location. This also helps your visitors in finding the most valuable section of your website. The easiest way of creating navigation menus is WordPress Menus. The User-friendly visual interface makes it easy to understand even for a non-technical guy. By default, you can easily add pages, posts, categories, and custom links. Pages are most likely to link with the navigation menus. 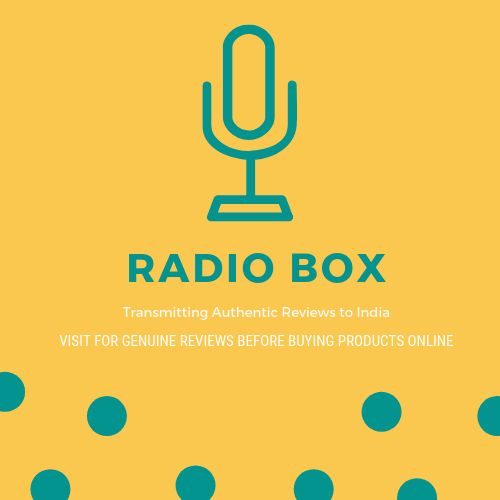 Some of the most common pages examples are Contact Us, About, any blog page, or pricing page. But there is also an option available for posts and categories. You can add your posts and categories to your navigation menu and easily redirect your visitor to a particular topic. You may add a post to your navigation menu that you would like your users to show first. 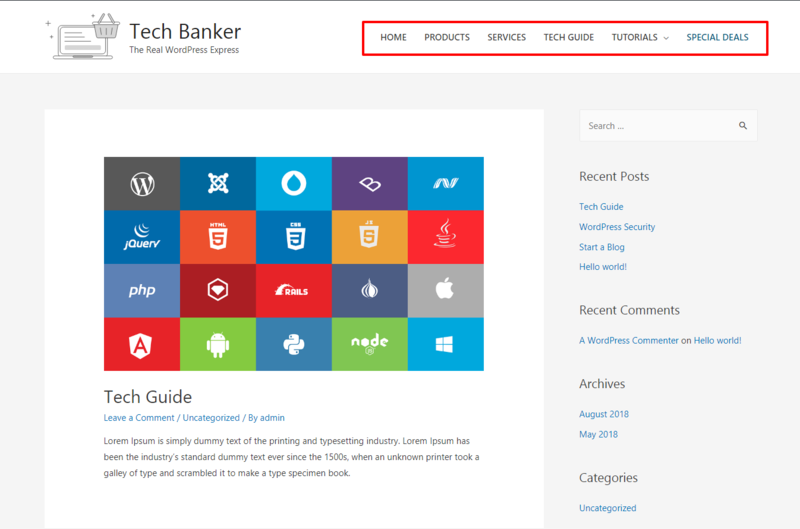 Have a look at how to add a specific post to your WordPress site navigation menu. 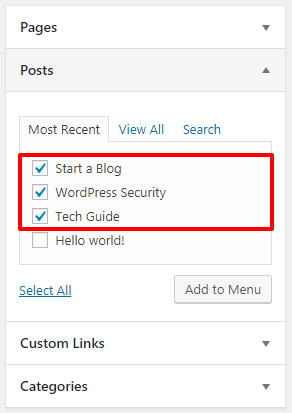 You must be logged in to your WordPress Dashboard before proceeding any change. The first thing you need to do is navigate to Appearance » Menus. Select Create a new menu at the top of the page or select the previous one to edit. Provide a name for your new menu in the Menu Name box. See the vertical tabs for pages, posts, categories, and custom link given after Create a new menu. You can click on each tab to expand it. Look at the left side of the Edit Menu screen, you will find some vertical tabs their. And these are Pages, Posts, categories, and custom links. If you can not see any of them. Then you can enable them by clicking on the Screen Options button near the top right corner of the window. In the Post Tab, you need to expend it to select the specific post that you want to add to your navigation menu and click on the Add to Menu button. If you would like to change the display order of your menus. You can do so by just revising their position, simply drag-drop. You can customize the title of your post by changing the label of the navigation menu. Make sure you save the changes. Visit your website and check for your menu with a specific post in action. Hope, your problem is solved to add specific posts to WordPress Navigation Menu of your site.